Two million Palestinians in the besieged coastal enclave of Gaza are left with only two hours of electricity a day after Israel and Egypt trimmed down their power supplies to the enclave. Gaza’s Power Distribution Company said that deficit rate has gone up to 85% and that 70 megawatts only are available, out of 600 megawatts needed by the enclave. The company added that an emergency distribution program has been opted for to monitor power consumption in Gaza which has been reduced to as little as two hours a day. The company raised concerns of rising tensions and a collapse of vital services in an impoverished and overcrowded territory that has been devastated by three Israeli offensives since 2008. It further warned of the ecological and humanitarian upshots of the crisis. The company urged the international communities and the UN bodies, among all other concerned institutions, to take urgent action regarding the crisis and to immediately work on providing the enclave with the energy supplies necessary for the survival of two million residents. The Palestinian health ministry in Gaza on Thursday announced the death of a girl child following failed attempts to obtain a medical referral from the Palestinian Authority (PA) in Ramallah for her treatment in a hospital outside the besieged enclave. A spokesman for the ministry said that three-year-old Yara Bakhit was suffering from a medical problem in the heart. 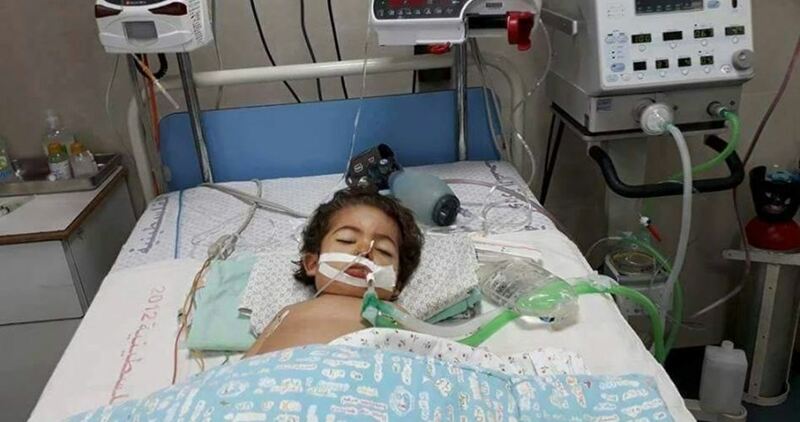 He said the child was a victim of the PA’s recent decision to deprive Gaza patients of medical referrals, noting that this measure already led to the death of 15 patients since the start of 2017. A few days ago, the health ministry in Gaza warned that more citizens with serious medical problems could die after the PA decided to stop giving medical referrals for patients from the impoverished and beleaguered territory. 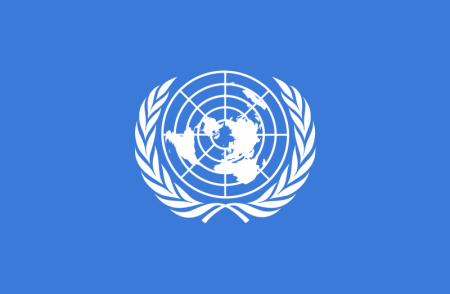 Seven UN rapporteurs on Wednesday called upon the international community to pay attention to the humanitarian suffering in the Gaza Strip and appealed to the besieging parties to immediately end their mass punitive measure against the population, especially with regard to electricity. The experts said Israel’s recent implementation of a decision by the Palestinian Authority (PA) to further reduce electricity supplies by up to 40 percent was leading to an unprecedented deterioration in the provision of critical services. Israel, as the occupying power controlling the entry and exit of goods and people, bore the primary responsibility for the deterioration of the situation, they said, and should honor its commitments under international humanitarian law and human rights law. The rapporteurs expressed their belief, however, that the current dispute between the PA and Hamas over fuel taxes imposed by the former led to the recent additional cuts, and has contributed to significantly worsening the crisis. Fuel recently supplied by Egypt had provided some relief, but was not a permanent solution, the experts added, warning that the current electricity crisis affected health services and almost every aspect of daily life. The experts noted that drinkable desalinated water is becoming less and less available, while untreated sewage continues to be dumped into the Mediterranean at the rate of 100 million liters a day and is possibly worsening aquifer contamination. “Families are struggling to safely store and prepare food without refrigeration, a recipe for disaster when combined with the weakened health services. Cooking, heating and lighting, and other fundamentals of the right to housing are jeopardized. People with disabilities, older people and women are being hit especially hard,” they said. According to them, the power crisis largely increased the suffering of the population, who has already endured years of struggle, poverty and military attacks. “This current crisis only compounds the residents’ fast-growing sense of despair and hopelessness,” they said warning that after 10 years of closure and blockade, Gaza is living with one of the world’s highest unemployment rates, economic stagnation, and a backwards march towards ‘de-development’. For its part, the Euro-Mediterranean Human Rights Monitor, based in Geneva, welcomed the statement that was issued by the UN rapporteurs and stressed the need for all parties to spare civilians the consequences of political differences. The monitor warned the concerned parties, especially Israel, of turning their back to the rapporteurs’ position and called for unified international action putting an end to the suffering of the population in Gaza. 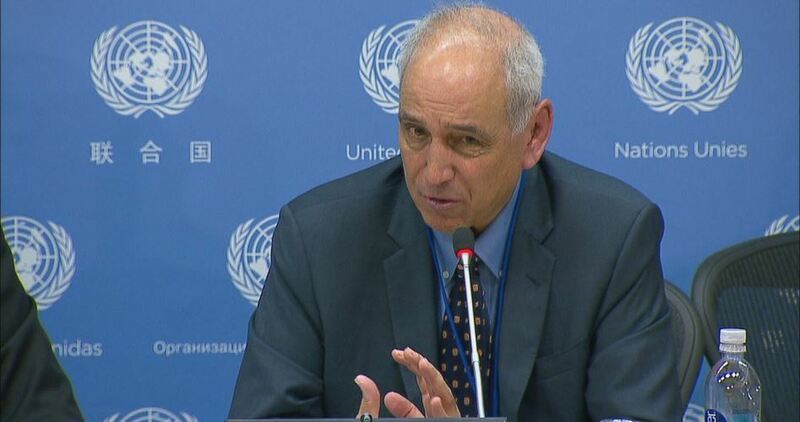 Michael Lynk, special rapporteur on the situation of human rights in the Palestinian territories occupied since 1967. Dainius Puras, special rapporteur on the right of everyone to the enjoyment of the highest attainable standard of physical and mental health (right to health). Leilani Farha, special rapporteur on adequate housing as a component of the right to an adequate standard of living, and on the right to non-discrimination. Hilal Elver, special rapporteur on the right to food. Philip Alston, special rapporteur on extreme poverty and human rights. Leo Heller, special rapporteur on the human right to safe drinking water and sanitation. Saad al-fararji, special rapporteur on the right to development. 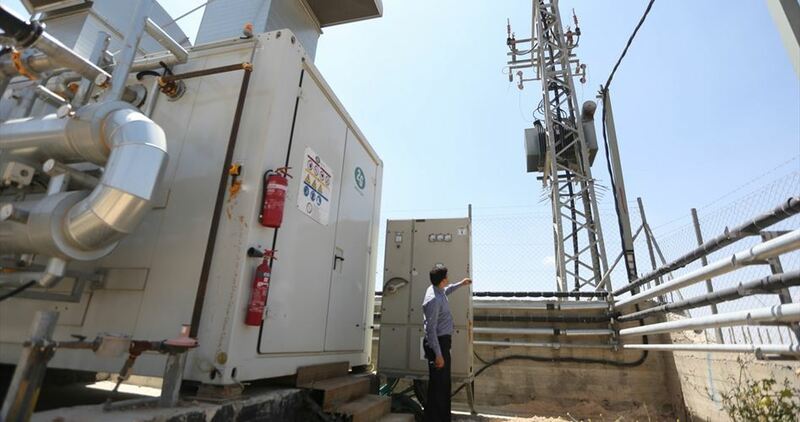 The Palestinian telecom company, Paltel, announced on Tuesday that it suspended its phone and internet services in large areas of Gaza after the main generator of its headquarters overheated and broke down. 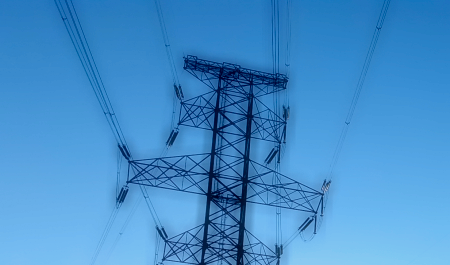 According to Paltel, tens of thousands of land-line customers and some 8,000 internet users have been cut off, and those numbers could rise. The current power crisis in Gaza has led the company to largely depend on generators to overcome long hours of electricity outages. The company’s technicians could carry out urgent repairs, but they lack spare parts which Israel will not allow into the besieged Gaza Strip. Israeli soldiers invaded, Wednesday, the al-Jisir area, between Jabal al-Mokabber and Silwan town, south of the Al-Aqsa Mosque in occupied East Jerusalem, and demolished storage rooms and a car-wash facility, owned by Mousa Obeidat, and abducted one Palestinian after shooting him. The soldiers invaded the facilities and demolished them, under the pretext of being constructed without a permit from the Jerusalem City Council. UN Special Coordinator for the Middle East Peace Process, Nikolay Mladenov, said on Tuesday that strenuous efforts are underway with various parties to find a solution to the power crisis in Gaza. 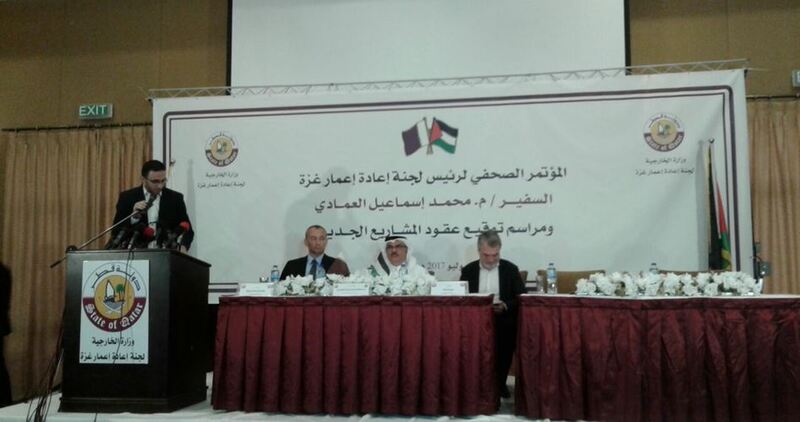 Speaking at a joint press conference with the Qatari ambassador to Gaza, Mohammed al-Emadi, Mladenov expressed his pleasure to work with Qatar, stressing the need to work to stop the serious deterioration in the living conditions of the Gazan people. Mladenov added that Gaza needs full support by all parties, especially Egypt, welcoming the Egyptian fuel supplied recently to Gaza's sole power plant and affirming, however, that this action alone is not enough. He warned that Gaza might be uninhabitable by 2020 if the situation remains as it is. For his part, ambassador Emadi said that despite the crisis in Qatar, it will continue to support the Palestinian people in the besieged Gaza Strip. He pointed out that Qatar will launch new projects in Gaza and continue the ones which are already underway. On the sidelines of the conference, Emadi signed contracts for new Qatari-funded projects in Gaza, including the construction of 8 residential buildings. 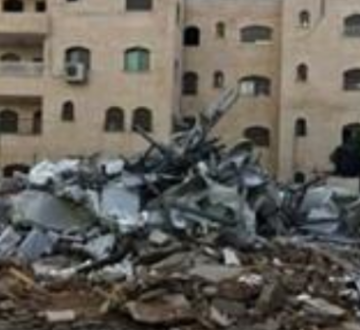 Dozens of Israeli soldiers and police officers invaded, on Tuesday at dawn, the al-‘Eesawiyya village, in occupied East Jerusalem, and demolished a four-story apartment building, which also includes two warehouses, that were built by a Palestinian family on their own land. 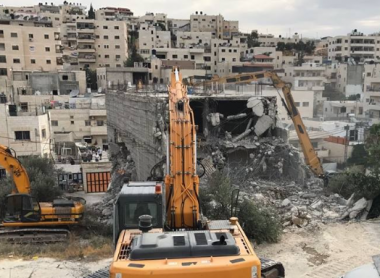 The Wadi Hilweh Information Center in Silwan (Silwanic) said the soldiers surrounded the building, consisting of six apartments, and two warehouses, and demolished it. The building, and the warehouses, are owned by members of Mahmoud family in al-‘Eesawiyya, and was constructed a year ago, on 800 square meters of land. The family said that the soldiers previously photographed the building, before the City Council issued an order for demolishing it, under the pretext of being built without a permit. The family hired a lawyer who was filed appeals against the demolition orders, and started the paperwork to obtain the needed permits for the building. The case was supposed to be discussed in a hearing that with the local court of the Jerusalem City Council, which was scheduled for today, but the soldiers demolished the building, just hours before the hearing was to take place. The Palestinian Energy Authority declared Monday that a second generator has started operating at the power plant after the Egyptian fuel shipments into the Gaza Strip resumed late Sunday. The Authority explained in a brief statement issued Monday morning that the power plant’s deficit has exceeded 75% after Israel’s reduction of its electricity supplies to Gaza and the frequent disruptions on the Egypt lines feeding the besieged Strip. The statement pointed out that efforts were being exerted to provide power for the Strip, which is home to more than two million Palestinians. 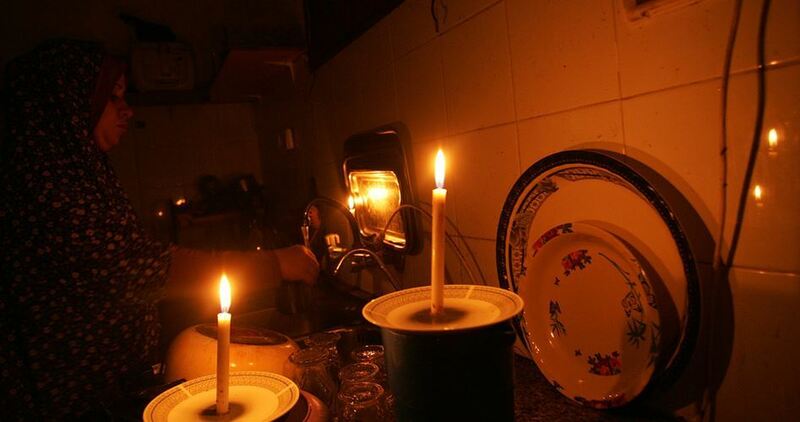 Earlier Sunday, the Authority warned of serious and unprecedented repercussions on basic services due to the lack of electricity, saying the power crisis plaguing the Gaza Strip is at its worst level with no clear electricity schedule and with only two hours of electricity provided for most houses per day. 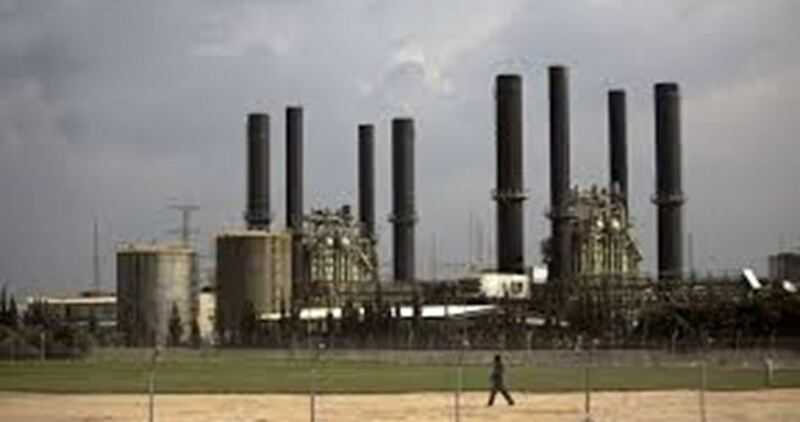 The Energy Authority in Gaza announced that two power generators have been shut down after Egypt has stopped fuel delivery as the Palestinian Authority (PA) froze all bank transfers to Egypt for the purchase of fuel used to operate the besieged coastal enclave's sole power plant. 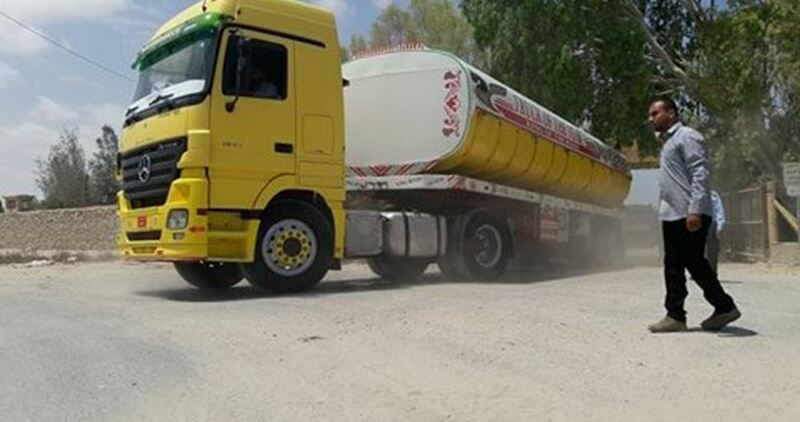 In a brief statement on Saturday, the Energy Authority in Gaza pointed out that the Egyptian fuel has not been entered into the blockaded Gaza Strip over the past two days. This has affected the power plant’s capacity to operate the electricity generators. The statement revealed that efforts are being exerted for transferring payments via different ways in order to resume importing fuel from Egypt and to re-operate the power plant.